SIGNIFICANT IMPACT: Provides significant benefits beyond existing technologies. A video of the winning technology can be seen here. 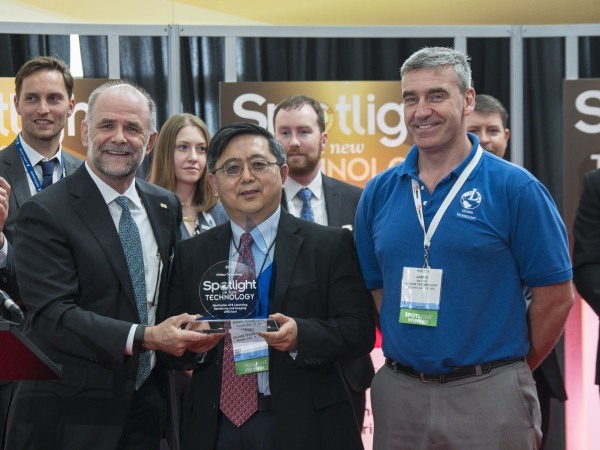 Oliden Technology is proud to announce that we have been awarded as one of the winners of the prestigious "2018 Spotlight on New Technology Award" for the GeoFusion 475 LWD tool. Quadrant Resistivity curves even while sliding. Read more about the GeoFusion LWD tool here. See the short video on GeoFusion 475 here. First independent bed boundary mapping jobs in North America. In multiple recent wells in North America, the DartFusion Bed Boundary Mapping LWD tool was used while drilling 6.25" section over a distance of 1,465m using a water based mud. This is the first time that this technology has been deployed in North America outside of a major service company. Using its industry leading depth of investigation of 20ft, DartFusion was able to resolve multiple bed boundaries in a challenging environment where the resistivity contrast of the target formation to adjacent layers was 1:2.